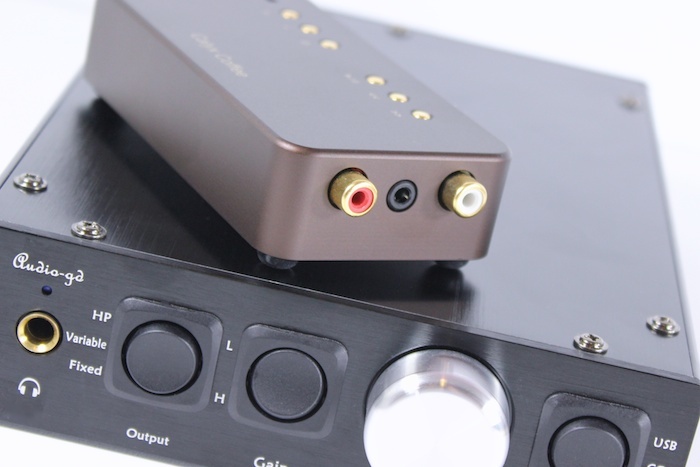 Ever since accepting a loaner on an Audio-gd NFB-12 (US$200), I was keen to see what (else) was going on back at the shallow end of the DAC pool after a year or two moving slowly into deeper ($) and deeper ($$) waters. Two hundred clams buys a lot more in the decoding world than it did a year ago but with the NFB-12 there remained clear evidence of why people upgrade and the compromises that must be accepted if they don’t: the little Chinese black box was big on enthusiasm and musical information but its brittleness and tension were easy to pick. There’s a reason that it’ll only run you two hundred clams. You get what you pay for. No biggie. 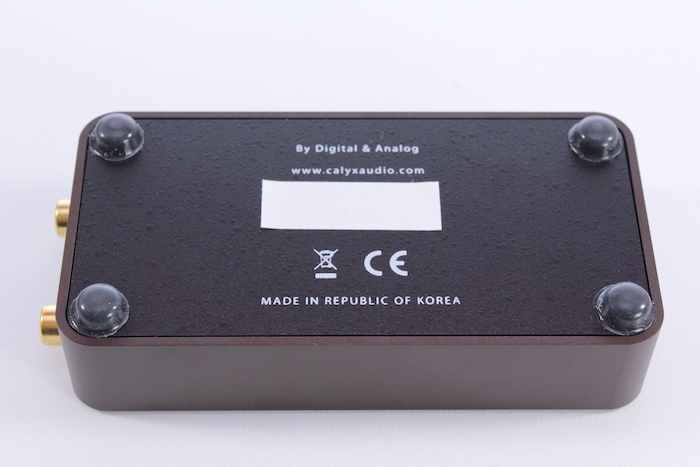 Korea’s Calyx Audio (Digital & Analog Co) have been doing it quietly for twelve years but the plainly named – and beautifully-looking – 24/192 Calyx DAC (AU$1799) arrived only last year. 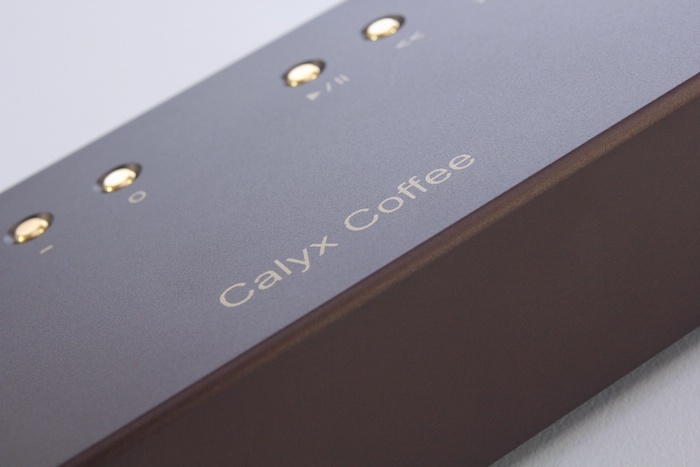 Seungmok Yi has followed through with a smaller, cheaper, more portable Sabre-chipped DAC in the Calyx Coffee (AU$299). Few would expect it to sound as accomplished as its more expensive predecessor, but the continued use of ESS’s silicon says something about its sonic genealogy. 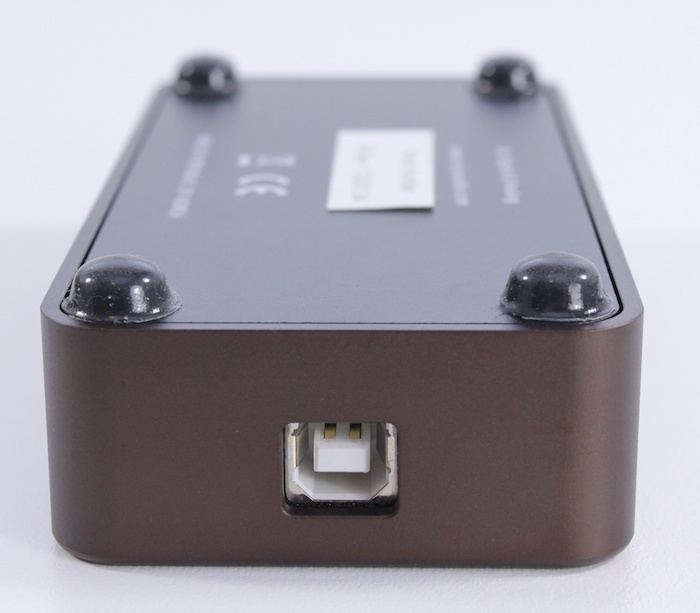 With this hot little beverage, he’s moved from the ESS 9018 (Reference) to the ESS 2023 chip and encased it in a VERY attractive and weighty aluminium shell. 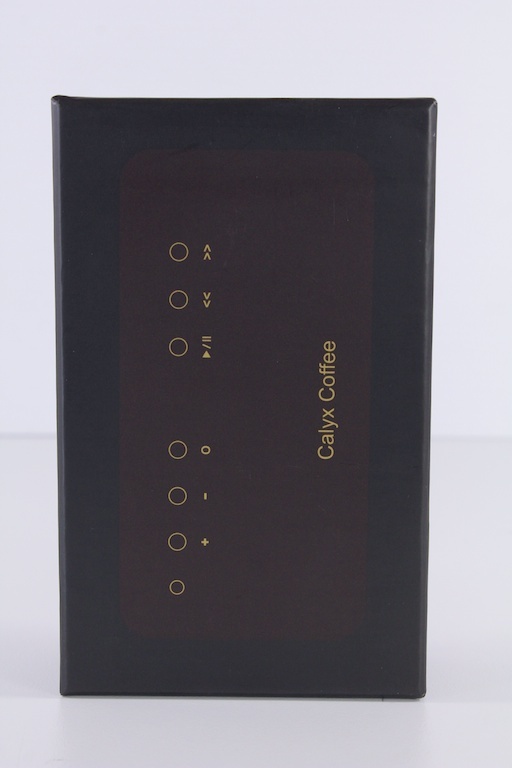 He has also added headphone-amplifier capabilities so that the Coffee is a go-anywhere device that promises a similar (house) sound to that of its bigger brother for desktop folk. Readers of the Peachtree DAC*iT coverage will recall the ESS 9022/23 chips’ vibe: they house in-built op-amps so that no additional output stage is required. 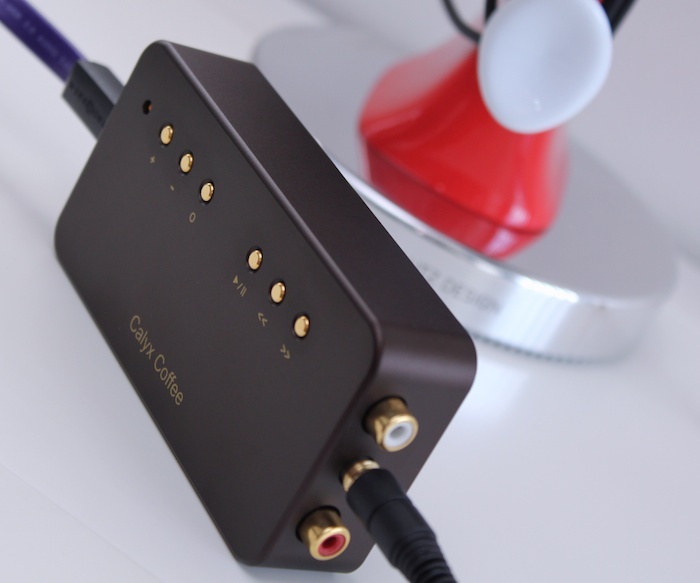 My listening experiences with the aformentioned DAC*iT and John Kenny’s JKDAC tell me that the 9022/23 chip are a cost efficient way to extract an abundance of musical detail. The Coffee’s portable and rugged design immediately points to use by road warriors, long-haulers and the office-chair-bound. 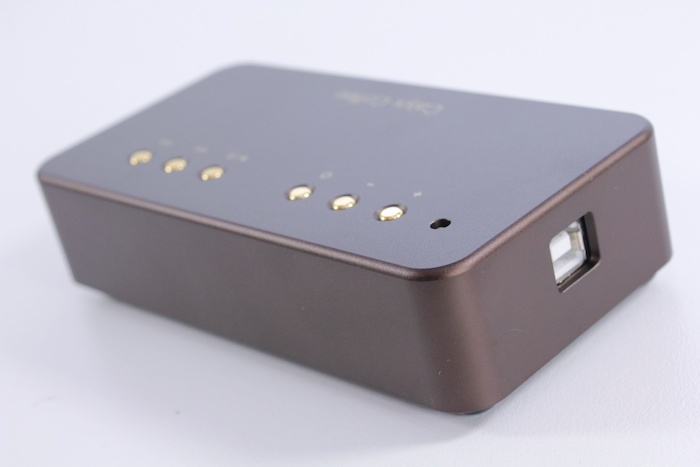 Calyx are here to extend the sound quality of one’s laptop PC with asynchronous USB transfer and 24/96 action. What about other software players? I moved to Audirvana. Here, the Coffee runs Audirvana’s volume attenuation (and leaves the user to set a separate system volume level in OS X’s sound preferences). In-app play/pause is also gold-button man-handled. 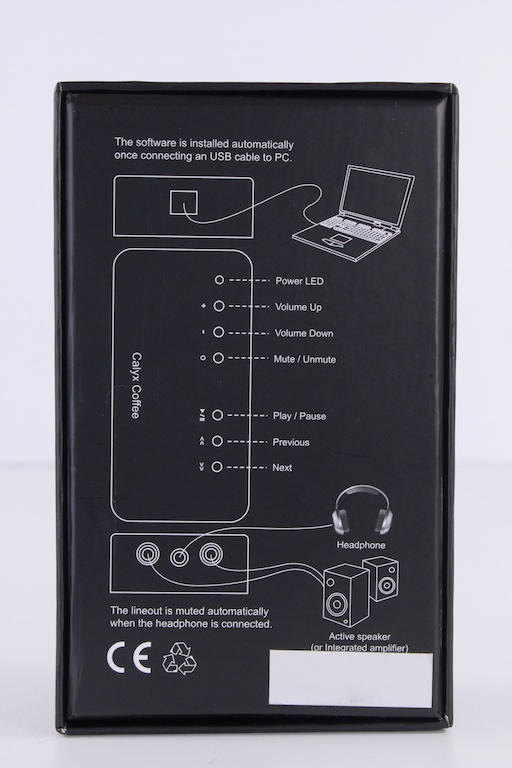 Behind headphones, there’s very good detail retrieval and the Calyx-Sabre sound is open and transparent. Whilst not quite capable of doing justice to the (amplifier-fussy) AKG 702s, the pairing is by no means unlistenable. 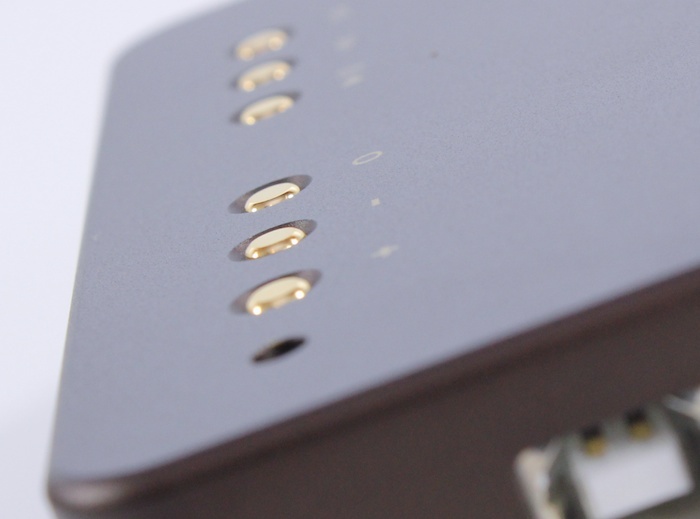 There’s little sign of the transient strain/distortion of the Audio-gd NFB-12/AKG pairing. The little Korean fella is tighter, smoother and a little more polite. However, this cuppa reaches maximum volume output just before the AKG spill over into LOUD. This is frustrating when wanting to crank older, quieter, poorer masters. The new Future Of The Left EP gets just enough juice for a Saturday night rage, but a rip of the 1980s issue of The Smiths’ Louder Than Bombs…isn’t. Instead, it’s a pleasing-but-distant firework show. Switching to my iPod earbuds – the excellent Yuin PK2 – and these volume limitations disappear. TOO LOUD is reached at approximately 75%-80% of OS volume. 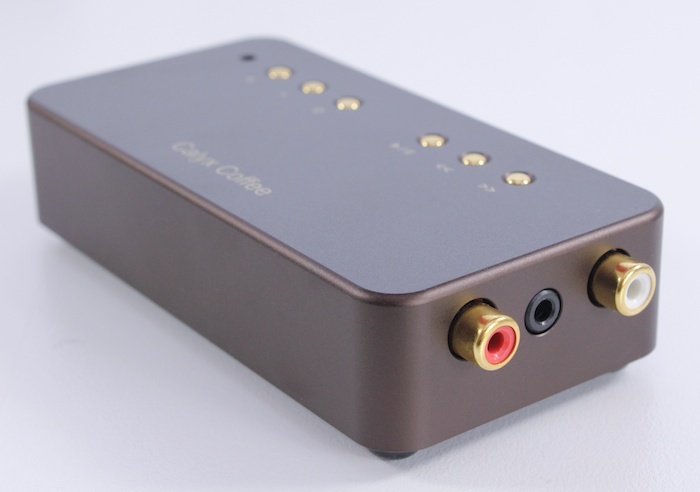 With an easier drive, this head-amp/DAC’s sound really opens up – it takes us from pond to lake. Sabre-sonics like these are possibly why this chip brand is so widely deployed: detail immersion aboard the higher frequency skytrain keeps those synapses firing continually. 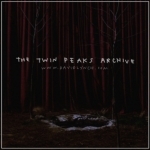 It is an exciting listen. A thrill ride. Hear for a good time, not a long time. 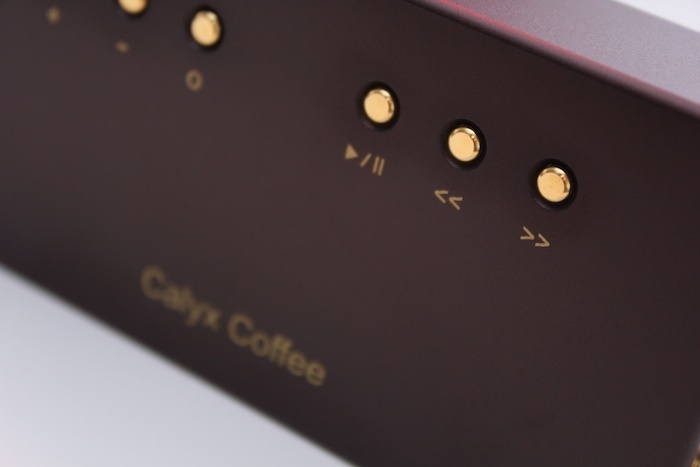 On the desktop, the Calyx Coffee holds up to expectations: it’s considerably more detailed, spacious and immersive than the MacBook Air’s in-built headphone action. 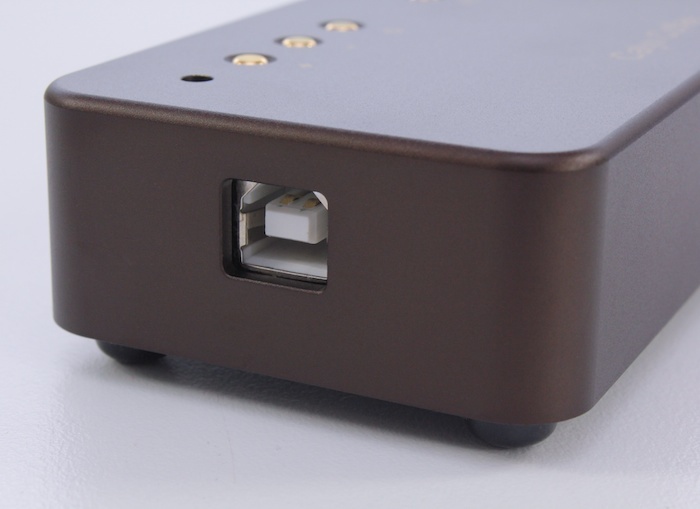 Much like other desktop DACs that have gone before it – hello Pro-ject DAC Box USB and FL – audible compromises and shortcomings are exposed when connected into main, lounge-room systems (as per my time with the NFB-12). 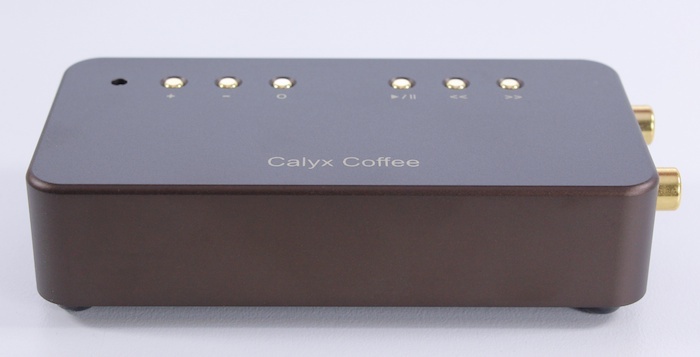 Swapping out a Metrum Octave (~AU950) for the Calyx Coffee sees the soundstage shrink in both height and width. Think: downsizing from a 60″ TV to a 32″. It’s the same movie, but smaller. Now showing: a detailed letter-boxed stage that sits squarely between the ProAc Tablette Reference 8 stand mounts. 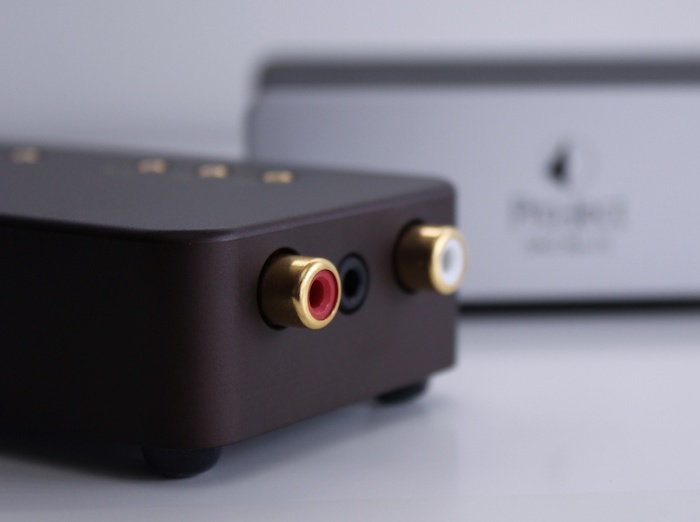 At both the price point AND in the context of the similarly-priced Project Box Series DACs (AU$299 and AU$349), this is hardly unexpected or a let down. You get what you pay for. Turning the volume dial on Death Cab For Cutie’s Transatlanticism, the stresses and strains of the Calyx trying to cut it with the bigger boys were again in evidence. 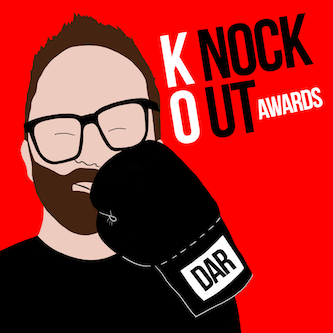 This is likely a dose of the jitters. Driving 50km/h IS possible in first gear, but it’s just not as relaxing as it is in fourth. 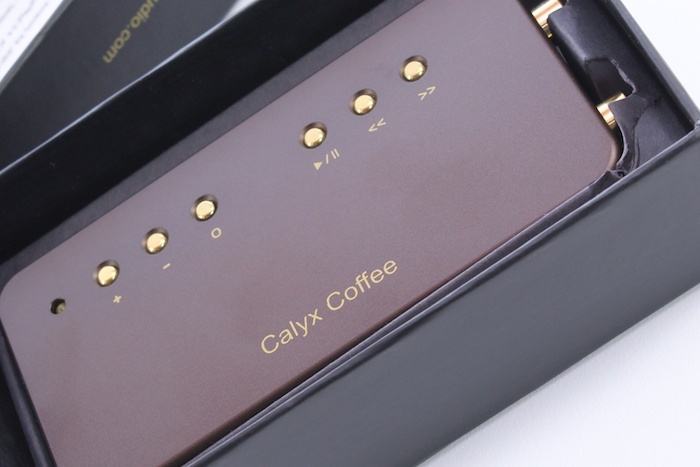 The Calyx Coffee revs hard to maintain its speed, energy and detail recovery but in doing so it imbues proceedings with a tension that similar to that heard in the Audio-gd. 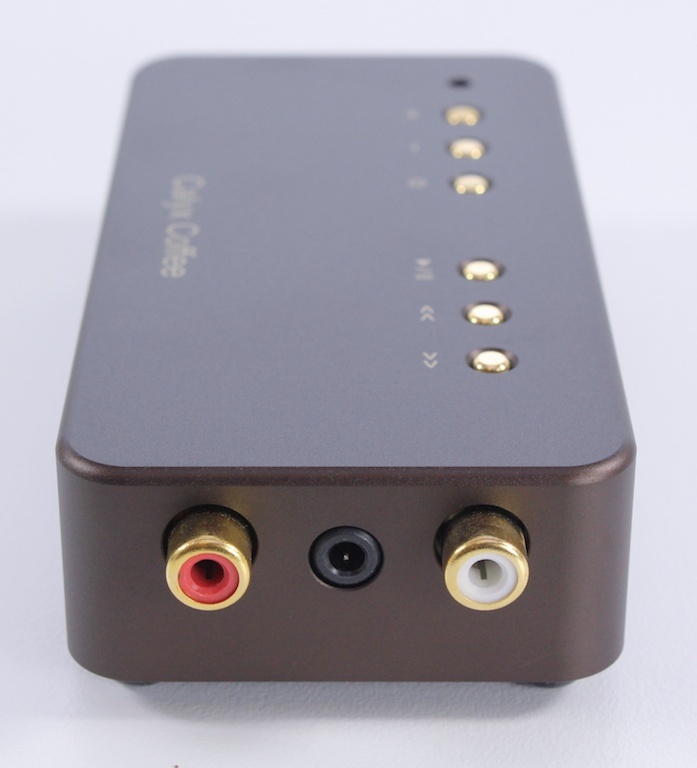 The Project DAC Box FL (AU$349) is much softer on transient edges – easier on the ear – but not as insightful. 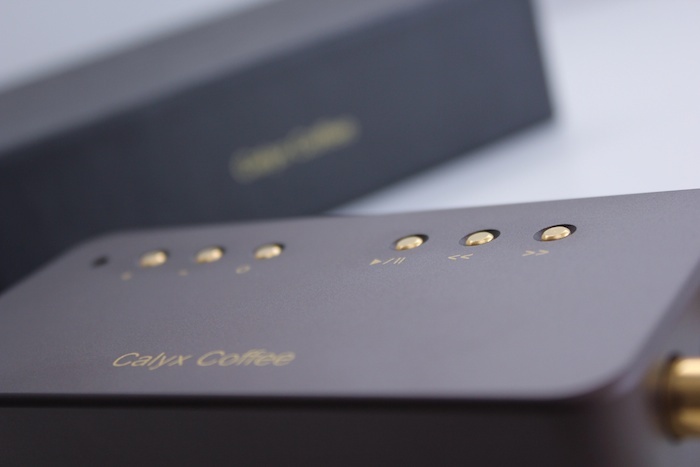 Pro-ject DAC Box FL vs Calyx Coffee: the latter is heavy on pin-prick detail but not as squidgy under foot – as conducive to long-term listening – as the former. This particular DAC-off is as close to ‘musical’ vs ‘accurate’ as one might hope to get at the three hundred dollar mark. 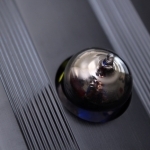 Comparing the Calyx to the previously covered Peachtree DAC*iT underscores the baseline for audible robustness required for main system survival. Over and above the Korean, the DAC*iT moisturises and paints with richer colours. Detail retrieval is even Stevens. Soundstaging from the Peachtree is broader and taller but – triangulating again – not as expansive as where we came in: the Metrum Octave. 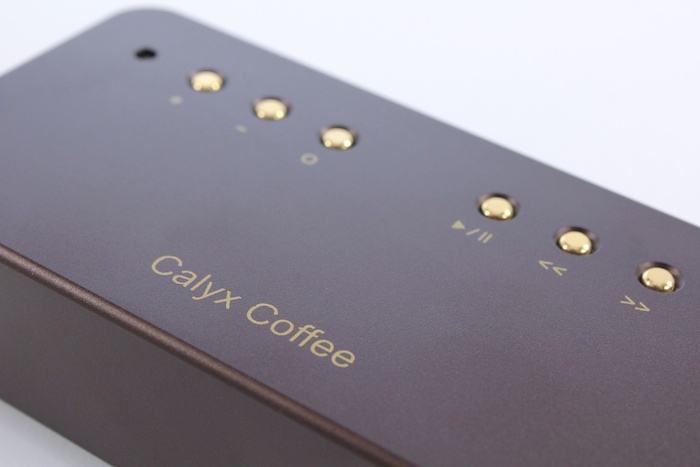 In order of preference: 1) Metrum – by a significant margin – then 2) Peachtree and 3) Calyx Coffee , Pro-ject DAC Box FL, Audio-gd NFB-12. 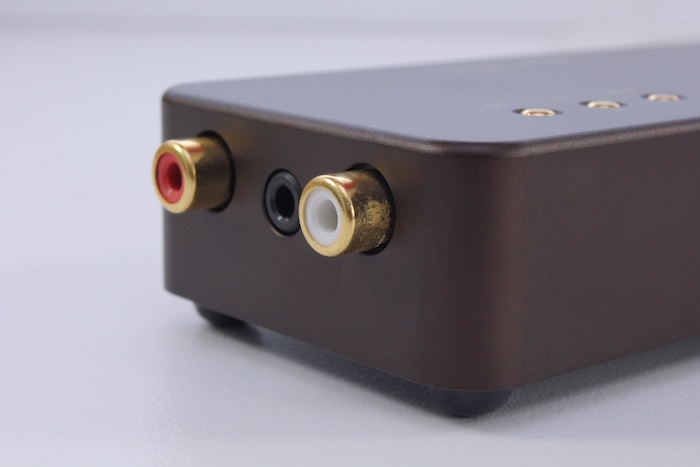 (My current pick from the non-portable $300ish DAC line-up would be the Emotiva XDA-1 or the Audio-gd NFB3.1). These rankings also fall in the same order as their respective RRPs. You get what you pay for. AC Box FL (some way) out of territory occupied by jitter/EMI/RFI. In this context, this Coffee isn’t strong enough to defend itself (- thank you Tom Waits). 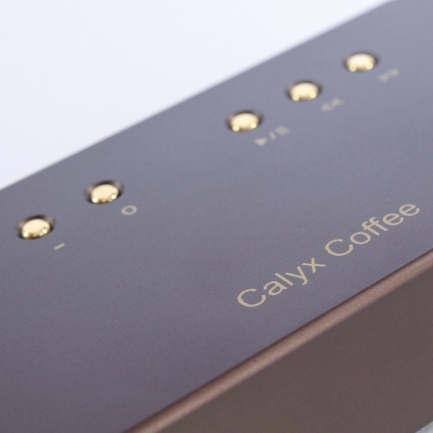 Push your luck too far – and the Calyx Coffee will get found out in all but the most budget of lounge-room systems (where it doesn’t sufficiently stir the soul). You don’t get what you don’t pay for. 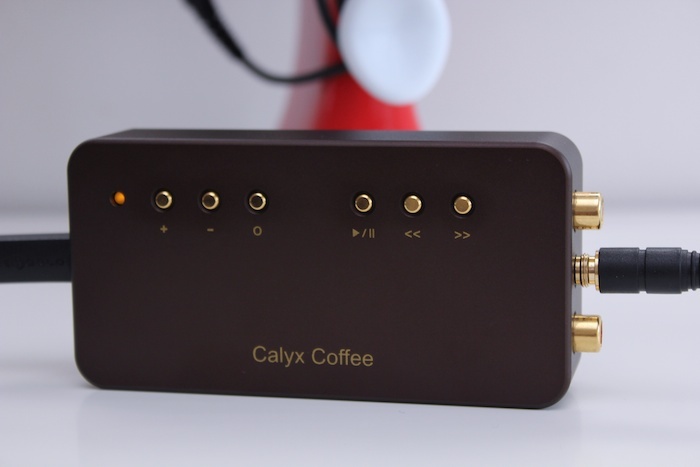 Away from such main rig un-masking, the Calyx Coffee is picture-perfect desktop audio: it looks wonderful, sounds superb with easy to drive cans and doesn’t fray at the edges when faced with more challenging headphone loads. It lifts computer audio out of the in-built-sound-card doldrums = job done. As an attractive addition to a portable/bedroom/office headphone set-up, it is more than worthy of your consideration. For a broader context on this unit’s sonic prowess, check out the Darko DAC Index.